In fairly recent decades and after poring considerable money in developing countries, aid development banks felt the need to assess the actually development the money they lent has actually contributed to these countries. Thus was born, the project evaluation area. And so, the consulting community watched with great expectation the multiplication of projects seeking the evaluation of results. This in turn resulted in a multitude of theories on how results can actually be measured and translated into development indicators. Basically, these evaluation projects were meant to show if any of the activities conducted actually succeeded in elevating development. Unfortunately, what can be seen as a result are projects raising more questions that answering them! How and Can we actually measure development? What constitute a positive result? Some results can only be measured in a long period of time; will there be a will and the means to evaluate these results? How can we measure the results a project will have? In the following paragraphs, I have selected a few key factors that must be considered in order to be able to identify specific results. To evaluate results, objectives and expected results for each objective must be clearly define from the beginning. These objectives must be SMART (as fairly known in the consulting community). The entire project must be planned in great length and means of evaluating the project must be defined since the beginning in order to set aside a budget for the evaluation phase. For some years, projects were in fact planned and expected results defined, but the evaluation phase was either non-existent or disregarder for the following reasons: either no budget was left for this phase because the contingency budget was not enough or expected results were vague or not quantifiable that is of course when a project is actually finished. Sometimes, too many delays in the project execution can weight on the budget and the environment changes and the desired results are no longer relevant. The evaluation can be conduct during the execution of the project, at the end of the project and even years after the project is concluded. It is important to consider not only the results but also the impact and the actual effects. 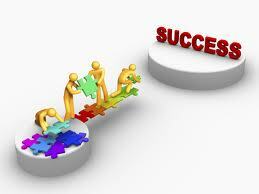 Thus, a project could in fact be successful in the desired results but the effects are not really there. For example, a well is build, it should impact 200 people from the village but no one uses it. So basically, the project doesn’t have the desired effect even if the results are there. Thus, while evaluating a project, it would be important to understand how come the well is not used? Is it because villagers do not know about it? Then, for the project to be really successful, it is important to develop an awareness campaign. While it is really important to evaluate a project, it is also important to define what should be evaluated and How it should be evaluated? If you need to consider a survey, what sample size do you really need? Is it really representative? Too often, the evaluation of a project, can be a routine check to say that everything is great while in truth it is the contrary. Project managers choose evaluators that will tell them what they want to hear by using vague tools or tools that do not give the right assessment of the activities. Often, Project managers may impose the tools and what should be evaluated of a project while evaluators should know better. An Evaluation Matrix should help the evaluator to define what he should evaluate and how he can acquire the information he needs to make that evaluation. While it is important to evaluate a project, it should also be implied that recommendations must be taken into consideration in order to ensure the success of a project. Unfortunately, this is not always the case because of lack of will or lack of funds. In our previous example, a project manager could consider that as long as the well is built, it is not his responsibility to ensure that people actual use it. The Authorities must take action to make sure that the required activities are conducted once a project is concluded to ensure the desired effects. Additional projects can often be defined in these circumstances. In conclusion, evaluators have a responsibility to ensure that projects not only achieve the results but that the planned impact and the desired effects are also part of the equation. The project must be planned accordingly from the beginning and this planning must be also reviewed by evaluators. They have to choose carefully the tools that will determine if a project was in fact successful and they must plan and set aside a budget to make sure that the outcomes of these evaluations will in fact be acted upon.